The end of August, beginning of September is always a sad and joyful time of year for hubby and I. Why? Well as much as we love our kids, sending them back to university and college gives us a lovely holiday at home. Taking two of our children back to school also means we will be putting a lot of kilometres on our van. The young man (previously known as the teenage boy) is in his third year at Bishop’s University in the province of Quebec, a mere 743 kilometres away, thus 1486 kilometres return. This trip is always done in two days. After driving the young man, we would take one day of rest, then drive middle child to college up north, about two and a half hours away or 201 kilometres (402 kilometres for us). She graduated from Bishop’s University in the spring with a double major in Environmental Studies & Geography plus a minor in Sports Studies. We packed up the van in the early morning and were on the road by nine o’clock. This trip was made somewhat easier since our dogs were left at home with middle child. Driving was shared between the three of us, except I can only drive for a maximum of two hours, most times though I only last about an hour. We made it to our destination in approximately nine hours, traffic was not all that congested and thankfully there were no accidents. The van packed for the young man’s move. The young man is not living in residence this year, instead he has chosen to share an apartment with three other guys. He is in a brand new apartment building, which is just lovely, the only issue is he is on the fourth floor and there are no elevators. The view from the young man’s living room window. So hubby and him have to walk a lot of stairs umpteen times, with me being the door opener, I mean management. After hubby and the young man finished unloading the van, we went out for a late dinner. With our tummies full, we dropped the young man off at his apartment, and headed to our motel down the street. The next morning we took the young man grocery shopping. This was a huge bill (happily it did not reach $500.00, but it was a close call) since he needed everything from the basics of cleaning supplies, to food (mom and dad always pay for the first grocery bill, I don’t know why). After the groceries were carried up to his apartment, mom and dad made a quick exit, wishing him good luck, and the I love you’s. We actually got away pretty early, I don’t think it was even 10 a.m when we left. Again the drive through Quebec was quite easy and when we entered our home province of Ontario, I decided we decided to take the scenic route home. We left highway 401, and went along highway 2, which runs parallel to the St. Lawrence. One of the routes we wanted to drive was the Long Sault Parkway, which takes you across numerous island. It did not disappoint. We returned to the 401, then left the highway to take the 1000 Island Parkway. Having taken this route before, we stopped at Brown’s Bay Park for a much needed bathroom break and leg stretch. Brown’s Bay, Thousand Island Parkway. Next we decided to take highway 33 just after Kingston, Ontario because I was interested in seeing Picton, Ontario. This drive had us driving a horseshoe shape which is very much out-of-the-way, but the scenery is well worth it. I was driving well Matt was looking at the map, to all of a sudden tell me that a bit further up the highway ends. I asked “what do you mean it just ends?”, he responded with “I don’t know, the map just shows it ending”. Well not knowing what would happen we continued on and much to our surprise at the end of the highway (Adolphustown, Ontario), we came upon a ferry. Our timing was perfect, having only to wait about five minutes when the ferry started to load. Driving onto the M.V. Quinte Loyalist Ferry. Matt and I on ferry, with another ferry passing behind us. The ferry ride was only about fifteen minutes, giving us just enough time to get out of the van, walk around and take a few pictures before getting back in and landing in Glenora, Ontario. After Glenora, we drove into Picton, Ontario a lovely little town. The only sad part was we were starving, and the two restaurants we stopped at, were only excepting people who had made reservations. We ended up stopping at a mom & pop restaurant, and though the staff was very nice, the food, well it filled our stomachs, but it was nothing to write home about. By this time we were very tired from all the driving, and have followed the rest of the scenic route home on other occasions, that we found it was now time to get back on the 401 and just get home. All in all, it took us about eleven and a half hours. Luckily Sunday was a day of rest, well, almost, there was laundry to do, before we would drive middle child to college on the Monday. We had forgotten that Monday was a holiday, and grocery stores would be closed. Middle child would need food for her new place, a house she is sharing with four other students. Off to the grocery store she went with her dad, I refused to get in the van again. Monday morning arrived, the van was repacked, again, stuffed even more than what the young man had fit into it. We were happy though, because this drive would only take about two and a half to three hours, most of it on secondary highways, so there wouldn’t be a lot of traffic. We arrived in Lindsay, Ontario a few hours later, again I was management, thus in charge of opening and closing the door while middle child and her dad moved her belongings into her new room. Middle child decided not to bring her queen size bed, instead our futon would be her bed for the next ten months. Yet, no matter how many times they maneuvered the frame there was no way it would fit around the corner to her room. Her dad offered to take the frame apart, thankfully middle child said “no dad, it’s okay, I will just use the mattress and sleep on the floor”. The frame went back into the van, plus a few other boxes full of kitchen things she wouldn’t be needing. Nothing like packing stuff up, stuffing it into the van, and having your daughter realize she wouldn’t be needing these three or four large boxes of things. Once again we said our goodbye’s and I love you’s and took off. We did take a slightly different route home, but unlike the trip from Quebec, this rounded out to be the same amount of time and boy were we happy to arrive home in the daylight. I had booked the next day off work for hubby, which was great, because we needed to get back in the van again, and do our own grocery shopping. All in all in the course of four days, we put just over 2000 kilometres on the van. In case you are wondering, yes our butts were quite sore. Me, well my body has given me loads of grief from all the driving, and then I started doing winter canning the past couple of weekends, thus the reason it has been a couple of weeks since I last blogged. Please accept my apologies. 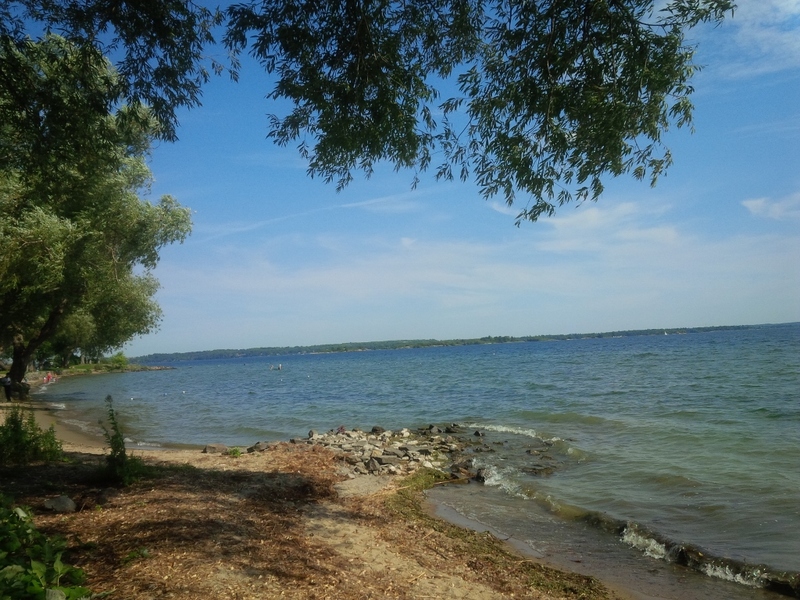 This entry was posted in 1000 Island Parkway, 1000 Island Parkway, Adolphustown, Adult Children, Adult Children, Brown's Bay, College, Family, Family, Ferry, Glenora, Glenora Ontario, Lindsay, Lindsay Ontario, Long Sault Parkway, M.V. 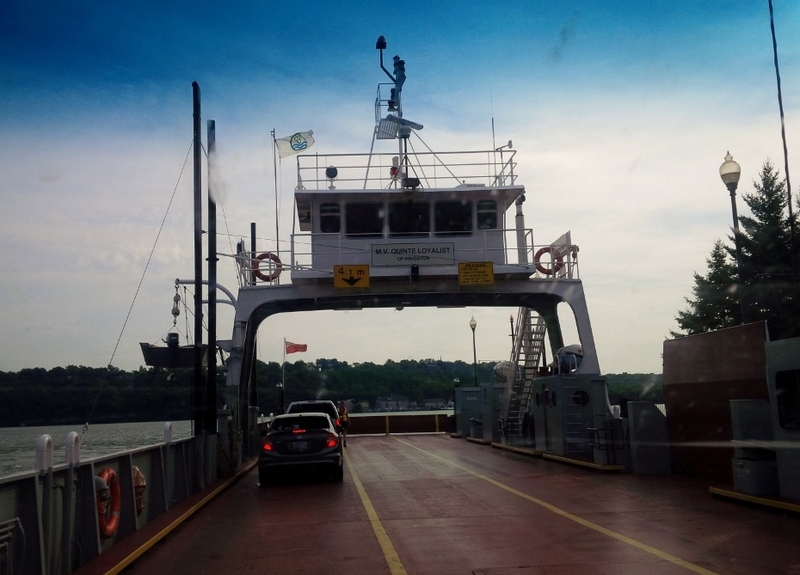 Quinte Loyalist Ferry and tagged Moving day, Moving Day, Ontario, Ontario, Picton, Picton, Picton Ontario, Quebec, Quebec, Scenic Route, Students, students, Thousand Island Parkway, Thousand Island Parkway, Travel, travel, University, university on September 11, 2014 by AlwaysARedhead.